Reading: Are You Doing it Enough? Are You Doing it Right? 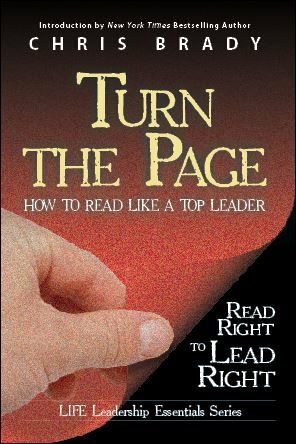 I’m in the middle of reading “Turn the Page: How to Read Like a Top Leader” and have come to some realizations; one is that I’m certainly not reading enough, and for everything that I have read, I could have gotten more out of the books. I’ve learned that reading is so important to our future, because when we read the right books, we are getting the life experiences of the author in the amount of time it takes to read a book. Success then becomes less trial and error, and more about leveraging the success of those who went through struggles before; about being mentored on what we should and shouldn’t do. You are where you are because of who you are; if you want to be somewhere else, you have to become someone else. This thought has come to me often throughout my leadership journey, as it has been said and taught in many different ways. I’ve learned that when we aren’t reading or listening to someone, we are talking to ourselves; this means we are talking to ourselves with the mind that got us to where we are. When we are reading, we are shutting ourselves up and listening to someone else with good information. This works for listening to great talks on CDs too, but I think reading takes it even a step further, and you get more out of what is written because you have time to think about what is written and reflect on it.